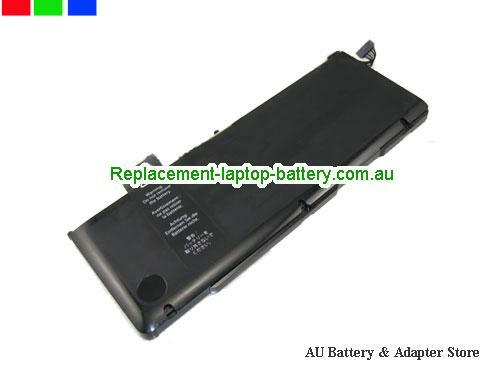 New and high quality A1297 A1383 Replacement Laptop Battery For Apple MacBook Pro 17 MC226LL MC725LL(Li-Polymer 10.95V 95Wh) In Australia. Apple Macbook Pro 17 "
Apple MacBook Pro, MacBook Pro "Core i7" 2.2 17" A1297 Early 2011, MacBook Pro "Core i7" 2.3 17" Early 2011, MacBook Pro "Core i7" 2.4 17" Late 2011, MacBook Pro "Core i7" 2.5 17" Late 2011, MacBook Pro 17, MC226LL, MC725LL. How can i sure this A1297 A1383 Replacement Laptop Battery For Apple MacBook Pro 17 MC226LL MC725LL is the correct one i need? Other usefull knowledge for find a correct APPLE laptop battery.